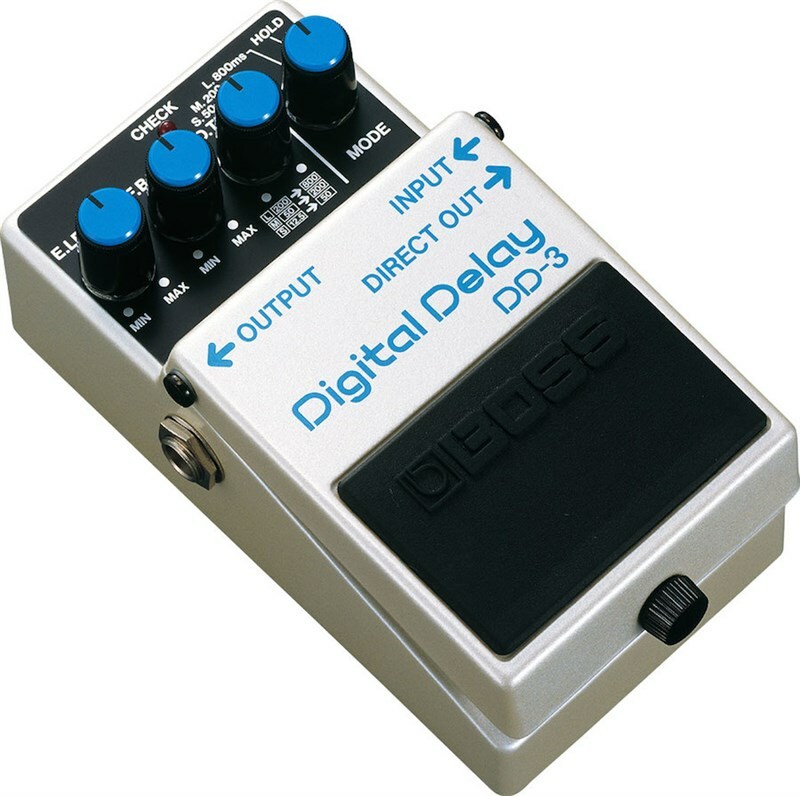 The DD-3 is a digital delay pedal from Boss with three distinct delay modes. Utilising the DD-3's HOLD function, it's possible to repeat your delay for as long as you could possibly want. There's also an E-Level knob that allows you to blend your dry signal with the delay signal, to truly shape your sound. Giving you the fantastic rack mount sound but in the ever popular Boss stompbox format. The DD3's HOLD function allows you to repeat delay for as long as you want, which is great for giving your riffs an atmospheric feel. E-LEVEL lets you blend the delay in with your signal so you can alter how prominent the effect is. The DD3 is comparable in its quality of sound to a rack-mount delay unit but in the great BOSS stompbox format that we all know and love.